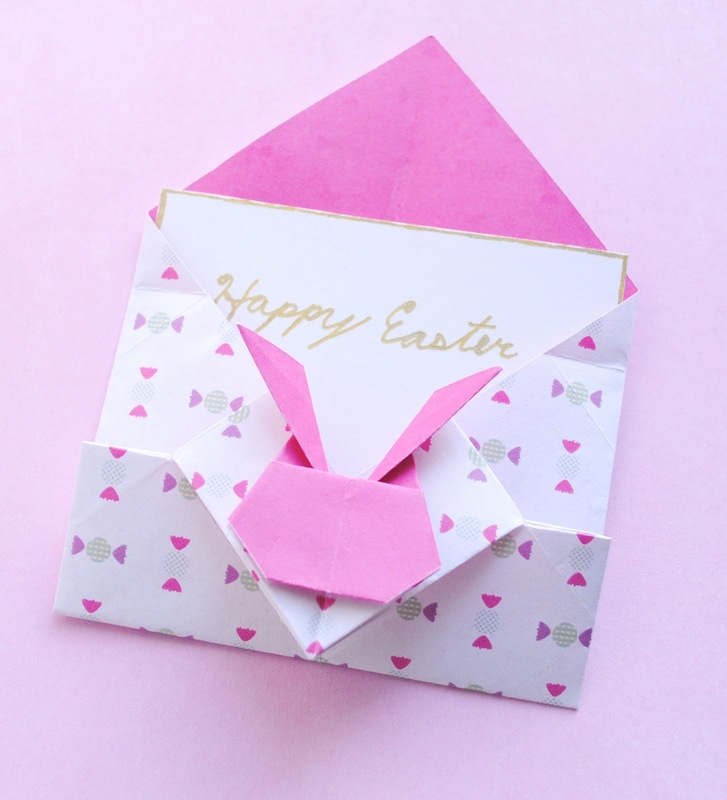 I was looking for a little Easter origami inspiration when I stumbled upon a tutorial for these cute bunny envelopes by Paper Kawaii. They're the perfect detail to attach to an Easter basket or any spring gift. They fold up in about five minutes or less once you get the directions down. 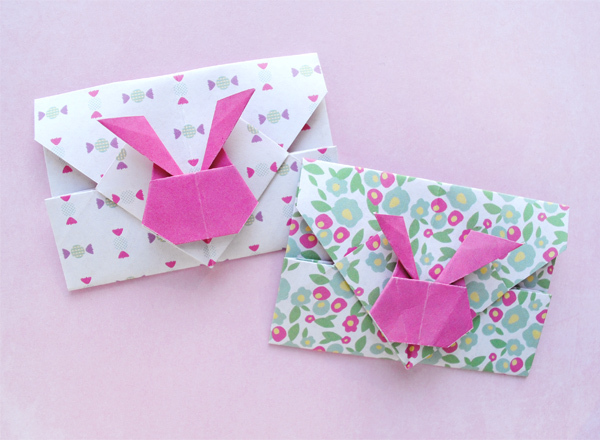 Hop on over to Paper Kawaii for the full instructions. Here's what the envelope looks like when opened. I used 6" x 6" paper which will fold down to roughly a 3" x 2" envelope. The paper I used is from my book, Party Origami.